Department of Biotechnology 1, Rajarshi Shahu Mahavidyalaya (Autonomous), Latur - 413512, Maharashtra, India. Department of Biotechnology 2, College of Computer Science and Information Technology, Latur - 413531, Maharashtra, India. Indovax Private Limited 3, Gurgaon - 122004, Haryana, India. ABSTRACT: After an increasing concern of sub-therapeutic use of antibiotics in poultry to treat enteric and other infections, an interest in alternative and efficient products with antibacterial properties has increased. From ancient time, the plants are constantly contributing as a useful source for the therapeutic and pharmaceutically important compounds. In this study, we therefore tested for the presence of important phytochemicals and antibacterial potential of Curcuma longa and Curcuma aromatica rhizome extracts against poultry enteric pathogens. Pharmaceutically important phytochemicals including alkaloids, flavonoids, terpenoids, steroids, saponins, phenols, glucosides, etc. were found to be present in extracts of C. longa and C. aromatica. 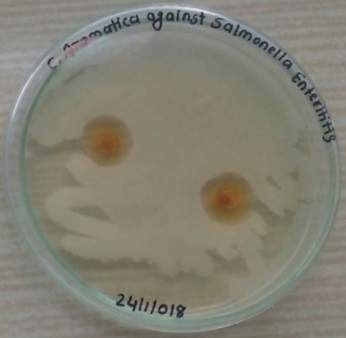 The extracts of C. aromatica exhibited excellent inhibitory action against Escherichia coli and Salmonella entertidis. However, C. longa extracts showed zone of inhibition against E. coli alone. This study provides significant insight into therapeutic application of Curcuma spp. against enteric poultry pathogens, suggesting it’s potential as an alternative to antibiotics and opens the way for further use in poultry feed for effective production. INTRODUCTION: Indian poultry industry is one of the fastest growing segment in agriculture sector, provides source of livelihood to 4 million people directly or indirectly 1. Due to relatively lower price, excellent nutritional profile and religious acceptability; poultry meat and egg consumption is gaining more popularity among developing nations2. As a result, the poultry production in India is doubled in last two decades. In spite of substantial advancements in poultry sector, the industry still faces numerous challenges including bacterial and viral diseases. Currently, enteric diseases in poultry are root cause of lower productivity, increased mortality and possibility of zoonoses 3. Generally these infections are treated by using antibiotics but increasing concern of antibiotics residues and ban on sub-therapeutic antibiotics use in many developed countries generating interest for the development of an alternative method to control poultry associated pathogens in different parts of the world 4. From ancient time, plants and its products are used as a medicine to treat various diseases in human and animals 5. Many plants secrete thousands of phytochemicals showing inhibitory effects against different types of micro-organisms 6. However, the potential of many plants as a source of new drugs is still largely unexplored. Curcuma longa and Curcuma aromatica are perennial rhizomatous shrubs belongs to the Zingiberaceae family 7. Both the species are native to the Indian subcontinent and South East Asia 8. They are traditionally used as a home remedy for various diseases in India. In-vitro antimicrobial and anti- inflammatory activity of Curcuma spp. is reported previously 9, 10. In this research work, we have explored antibacterial activity of Curcuma longa and Curcuma aromatica extract against enteric avian pathogens including Escherichia coli and Salmonella entertidis. Collection of Plant Materials: Dried rhizomes of Curcuma longa and Curcuma aromatica were collected from local Ayurvedic Medicinal Shop, Latur. The plant material was properly identified with the help of authentic literature and documented with their characteristics features. The rhizomes were further powdered and stored at room temperature till further use. Preparation of Plant Extract: The preparation of extract was done by using continuous hot extraction method. 10 gm of rhizome powder was packed in Soxhlet apparatus and extracted with 150 ml water and methanol subsequently. The liquid extracts were collected in conical flasks and remaining solvent is removed by distillation 11. The prepared extracts were further used for preliminary phytochemical analysis and its antibacterial potential against poultry pathogens. Preliminary Phytochemical Analysis: Pre-liminary phytochemical screening of water and methanolic extract of rhizome of Curcuma longa and Curcuma aromatica was carried by using standard procedures 12. The tests were performed to check the presence of important phyto-constituents like; alkaloid, flavonoid, phenols, saponin, terpenoid, steroid, carbohydrate, protein, glucosides. Determination of Antibacterial Activity: The bacterial cultures of enteric pathogens i.e. E. coli and S. entertidis isolated from infected chickens were provided by Oyster Biologicals Pvt. Ltd., Omerga (Maharashtra), India. The antibacterial activity of rhizome extracts against E. coli and S. entertidis was tested by using Kirby- Bauer method with few modifications 8. In brief, overnight grown cultures of E. coli and S. entertidis were inoculated on Mueller Hinton Agar (HiMedia, India) plates by using sterile swabs in order to get uniform and thick growth after incubation. Wells of 6 mm diameter were formed on inoculated Mueller Hinton Agar by using appropriate sized cork borer. The dried rhizome extracts of Curcuma longa and C. aromatica were dissolved in dimethylsulfoxide (DMSO) (SRL, India) at the concentration of 50 mg/ml. 75 µl of DMSO dissolved extracts were then filled in wells prepared on MHA plates. Inoculated plates were further kept for incubation at 37 °C for 18-24 h.
Phytochemical Analysis: Phytochemical analysis was carried out to detect the presence of any pharmaceutically active compound in rhizomes of Curcuma longa and Curcuma aromatica. Major phytochemicals like alkaloids, flavonoids, phenols, saponins, steroids, etc. were found in both Curcuma longa and Curcuma aromatica extracts Table 1. Similar findings were also noted by various authors 10, 11, 13. Glucosides were found to be present in Curcuma longa but absent in Curcuma aromatica extracts. On the other hand, terpenoid was found in Curcuma aromatica but lacking in Curcuma longa. The absence of glucosides is also confirmed in C. aromatic 14. Presence of alkaloids, flavonoids and phenolics strongly suggest plants involvement in antibacterial activity 15. In our experiments, all of these phytochemicals were noted in Curcuma longa and Curcuma aromatica. Antibacterial Activity: Antibacterial activity of methanolic and Water extracts of C. longa and C. aromatica was tested against poultry enteric pathogens E. coli and S. entertidis recovered from chicken gut. Both methanolic and water extracts (50 mg/ml) of Curcuma longa showed moderate zones of inhibition against E. coli but no antibacterial potential was observed against S. entertidis. However, methanolic extract of C. aromatica found to be effective and exhibited good zone of inhibition against E. coli (14.66 ± 1.15 mm) and S. entertidis (13.00 ± 1.00mm). Similarly, water extract of C. aromatica also generated sensible effect against E. coli (11.66 ± 0.57 mm) and S. entertidis (9.00 ± 1.00 mm) Table 2. Various species of Curcuma have already exhibited antimicrobial properties against human and avian pathogens in recent years 16, 17, 18. A report also suggested the antibacterial potential of Curcuma aromatica against human pathogenic E. coli, S. typhi, P. aeruginosa and P. vulgaris 10. A recently published report confirmed antibacterial effect of curcuma against S. entertidis infection in chicken19. CONCLUSION: Medicinal plants are always considered as an effective source of traditional and modern medicines. Many literatures suggest the medicinal and cosmetic importance of turmeric. In our study photochemical analysis reveals the presence of important phytochemicals like alkaloid, flavonoids, phenols, steroids, saponins etc. in both C. longa and C. aromatica. Extracts of C. aromatica rhizomes exhibited potential inhibitory effect against enteric pathogens of poultry. Hence, this study concludes that, the Curcuma aromatica rhizomes with certain processing can be used as a potential alternative for traditional treatments like antibiotics in enteric infections of poultry. ACKNOWLEDGEMENT: The authors deeply acknowledge the help and cooperation rendered by concerned authorities of Department of Biotechnology, RSM, Latur and Department of Biotechnology, COCSIT, Latur in carrying out the research work. Chatterjee RN and Rajkumar U: An overview of poultry production in India. Indian Journal of Animal Health 2015; 54(2): 89-108. Devi SM, Balachandar V, Lee SI and Kim IH: An outline of meat consumption in the Indian population - A pilot review. Korean Journal for Food Science of Animal Resources 2014; 34(4): 507-515. Ravikumar S, Syed Ali M, Anandh P, Ajmalkhan M and Dhinakaraj M: Antibacterial activity of Cymodocea serrulata root extract against chosen poultry pathogens. Indian Journal of Science and Technology 2011; 4(2): 98-100. Andleeb S, Rafique A, Ghous T, Shahzad N and Shafique I: Antibacterial activity of traditional herbs and standard antibiotics against poultry associated Pseudomonas aeruginosa. 2012; 1(5): 12-16. Parrotta JA: Healing plants of Peninsular India, CABI publishing, Walling Ford, UK 2001: 438-442. Cowan MM: Plant products of antimicrobial agents. Clinical Microbial Review 1999; 12(1): 564-582. Chattopadhyay I, Biswas K, Bandyopadhyay U and Banerjee R: Turmeric and curcumin: Biological actions and medical applications. Current Sci 2004; 87: 44-53. Mahajan S, Gupta A and Sharma R: Evaluation of antimicrobial activity of Curcuma longa rhizome extract against S. aureus. Biotechnology Reports 2015; 6: 51-55. Mahady GB: Medicinal plants for the prevention and treatment of bacterial infections. Current Pharmaceutical Design 2005; 11: 2405-2427. Anjusha S and Gangaprasad A: Phytochemical and antibacterial analysis of two important Curcuma species, Curcuma aromatica and Curcuma xanthorrhiza Roxb. (Zingiberaceae). Journal of Pharmacognosy and Phytochemistry 2014; 3(3): 50-53. Pawar MA, Patil SS and Nagrik DM: Phytochemical and physicochemical investigation of Curcuma longa rhizome. 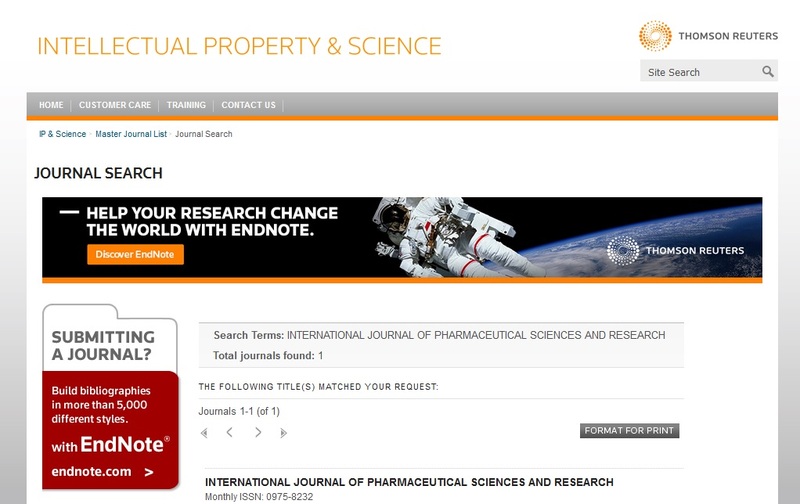 International Journal of Chemical and Physical Sciences 2015; 458-463. Harborne JB: Phytochemical methods-A guide to modern techniques of plant analysis. Chapman and Hall, London, 1998. Saxena J and Sahu R: Evaluation of phytochemical constituents in conventional and non-conventional species of Curcuma. 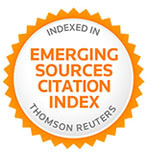 International Research Journal of Pharmacy 2012; 3(8): 203-204. Das T, Mishra SB, Basak M, Mohanty JP and Shil D: Evaluation of phytochemical screening and anti-fertility activity of Curcuma aromatica International Journal of Pharmaceutical Sciences and Research 2010; 1(1): 18-22. Enzo AP: Traditional plants and herbal remedies used in the treatment of diarrheal disease: Mode of action, quality, efficacy and safety considerations. In: Ahmad I, Aqil F, Owais M, editors. Modern Phytomedicine: Turning Medicinal Plants in to Drugs. Wilch-Vch, Weinheim, 2007: 248-260. Wilson B, Abraham G, Manju VS, Mathew M, Vimala B, Sundaresan S and Nambisan B: Antimicrobial activity of Curcuma zedoaria and Curcuma malabarica Journal of Ethnopharmacology 2005; 99(1): 147-151. Ahmad S, Ali M, Ansari SH and Ahmed F: Chemical constituents from the rhizomes of Curcuma aromatica Der Pharma Chemica 2011; 3(2): 505-511. Gouda MM and Bhandary YP: Natural antibiotic effect of turmeric in poultry management. International Journal of Poultry and Fisheries Sciences 2018; 2(1): 1-3. Varmuzova K, Matulova M, Gerzova L, Cejkova D, Gardan-Salmon D, Panheleux M, Robert F, Sisak F, Havlickova H and Rychlik I: Curcuma and Scutellaria plant extracts protect chickens against inflammation and Salmonella entertidis. Poultry Science Association Inc 2015; 94: 2049-2058. Patil VV, Surwase SR, Belure AS, Suryawanshi AG and Mane DV: Phytochemical analysis and antibacterial evaluation of Curcuma longa and Curcuma aromatica against enteric poultry pathogens. Int J Pharm Sci & Res 2019; 10(4): 2000-03. doi: 10.13040/IJPSR.0975-8232.10(4).2000-03.